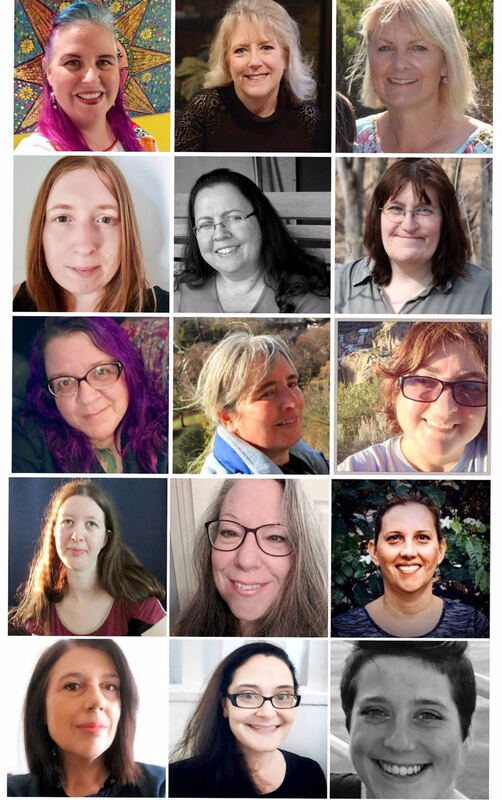 Hello, Sin City Stamps Fans!! 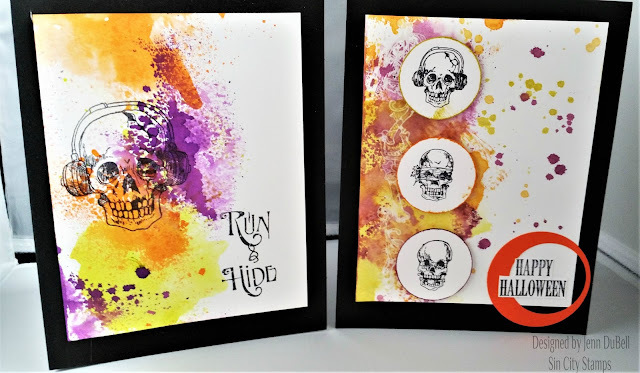 It's Jenn with you today and I am going to show you how to create these Happy Halloween cards using Sin City Stamps designed by Rick St. Dennis!! Halloween is such a fun holiday for everyone, so why not get creative and make some cards!! 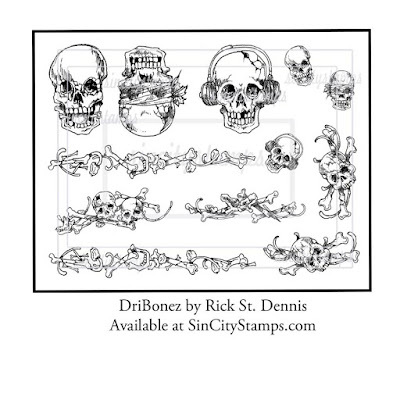 For this project, I used the DriBonez stamp set designed by Rick St.Dennis for Sin City Stamps. 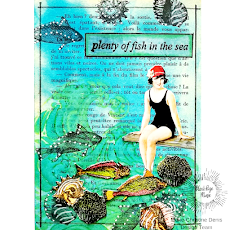 For the first card, use the border stamp and watermarking ink to create border. Coat with clear embossing powder and activate with a heat tool. 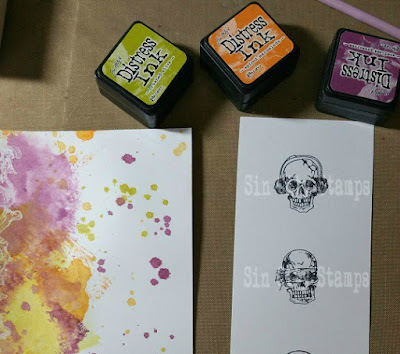 Stamp distress inks one at a time onto a craft mat and spritz with water. Next dab your white cardstock in each and dry with a heat tool in between. 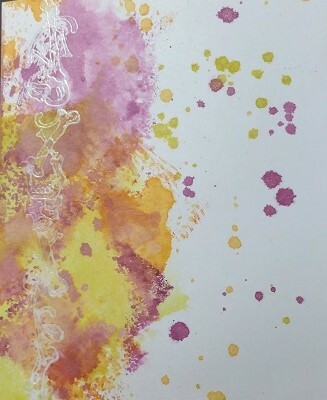 Add a bit more ink and water to your craft mat, and use a paintbrush to add splatters of the same colors. Dry with a heat tool completely. On another sheet of cardstock stamp the three skulls in black archival ink. Next use a 1" circle punch to cut each skull out. Set these aside. For the second card, repeat the background process. 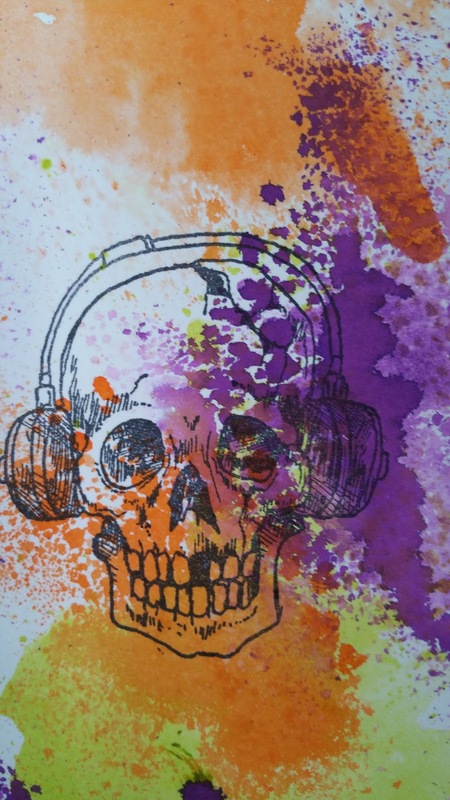 Use black archival ink to directly stamp the skull and add a sentiment. 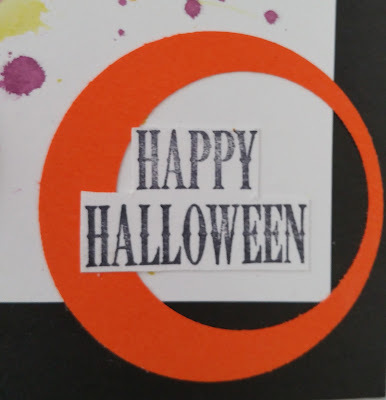 Add a hollowed out circle and sentiment to the first card. Use double sided tape to adhere the backgrounds to black cards either pre-made or folded cardstock, your choice! And there you have it, colorful, handmade Halloween cards! Thanks so much for joining me today! I hope you are inspired to get creative and make some fun Halloween cheer for your friends and family too!! 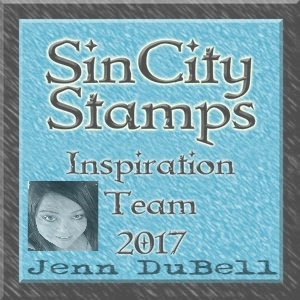 Be sure to visit our Fan Page for more inspiration, to share your own Sin City Stamps projects and to enter giveaways!